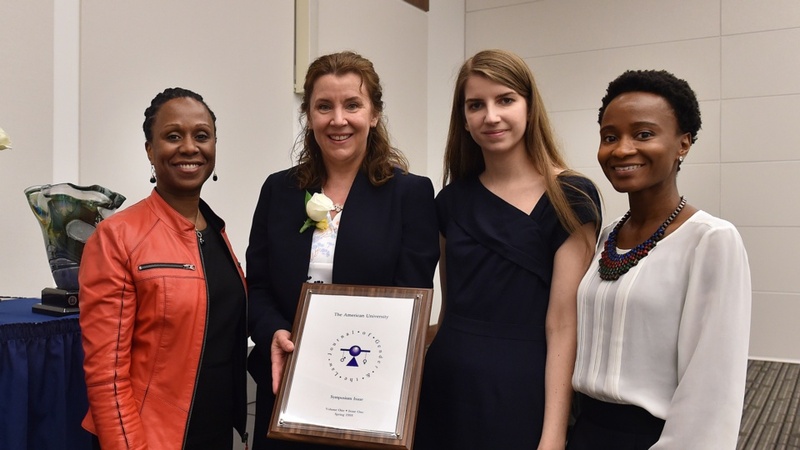 The Women and the Law Program along with the Office of Development and Alumni Relations held the law school's annual Women and the Law Leadership Award Luncheon and Ceremony this past Monday. 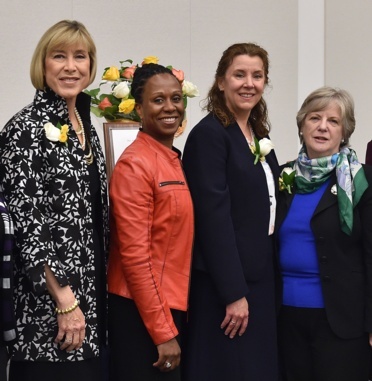 The Women and the Law Leadership Award recognizes the extraordinary accomplishments of alumnae who made significant contributions to the field of law and their service to the law school. 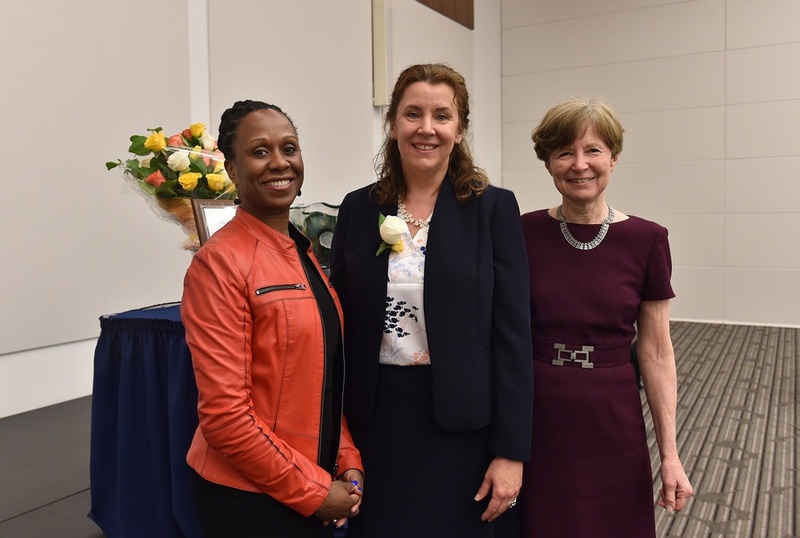 This year, the program honored Lisa Dewey ’93 and her commitment to pro bono work and access to justice. 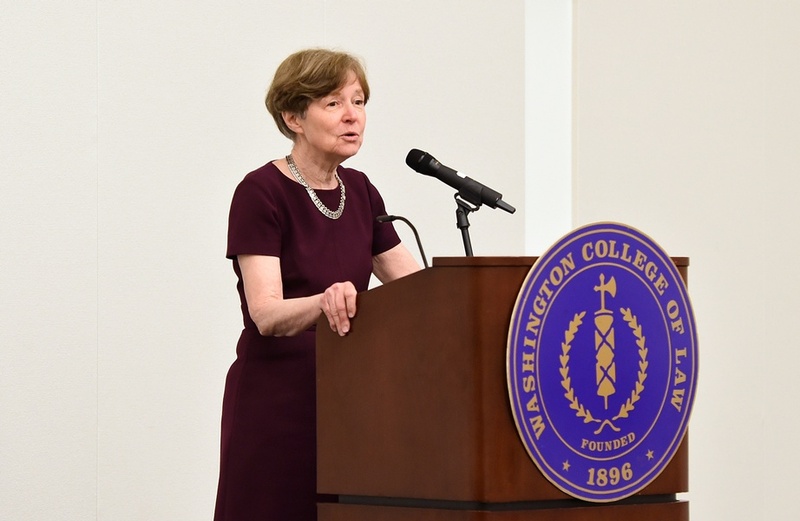 Professor Ann Shalleck, Director of the Women and the Law Program, opened the event by welcoming past award recipients in attendance, including Pamela Deese JD '83, SPA/BS '80, partner at Arent Fox LLP; The Honorable Nan Shuker '69; and Penny W. Wakefield '79. 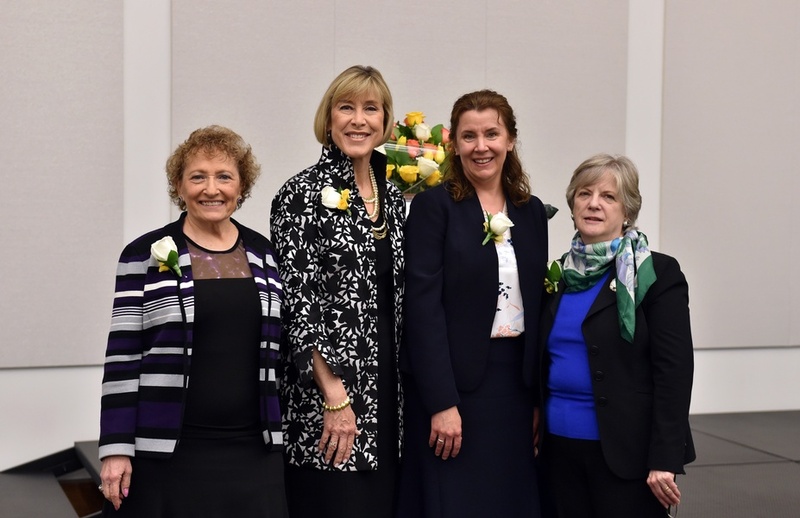 Professor Shalleck spoke of the 120 year history of the law school, from our founding mothers Ellen Spencer Mussey and Emma Gillett, who provided women access to legal education, to the Women and the Law Program that she helped develop in 1983, and our newest dean, Camille Nelson. 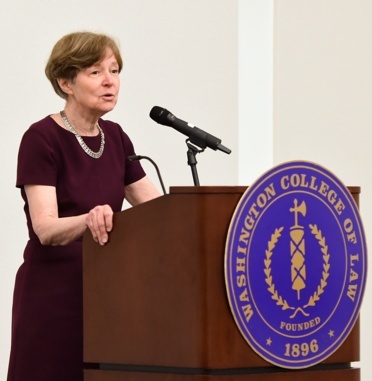 In her remarks, Dewey spoke of what drew her to Washington College of Law and her time as a student. Dewey said that she was first attracted to the law school because it was founded by women, and secondly, because it had a reputation of being a public interest law school. 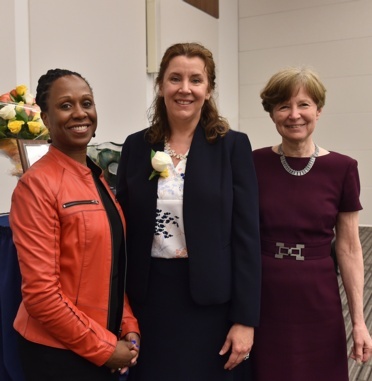 She fondly recounted the nurturing and supportive environment and how she was able to truly live out the values of the law school by advocating for access to justice. 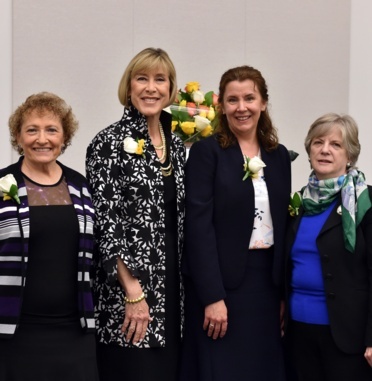 While in school, Dewey and a group of fellow students were instrumental in founding the Journal of Gender, Social Policy & The Law, now the most cited legal periodical in the United States in the topical area of gender, social policy, and the law. 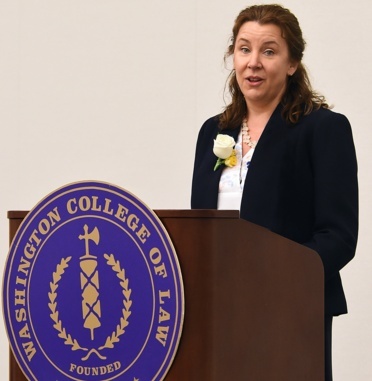 In closing, Dewey said, “The great power of being a lawyer comes with great responsibility," and that she now realizes how rewarding being a lawyer can be. Dewey became DLA Piper’s full-time pro bono partner in 1999. 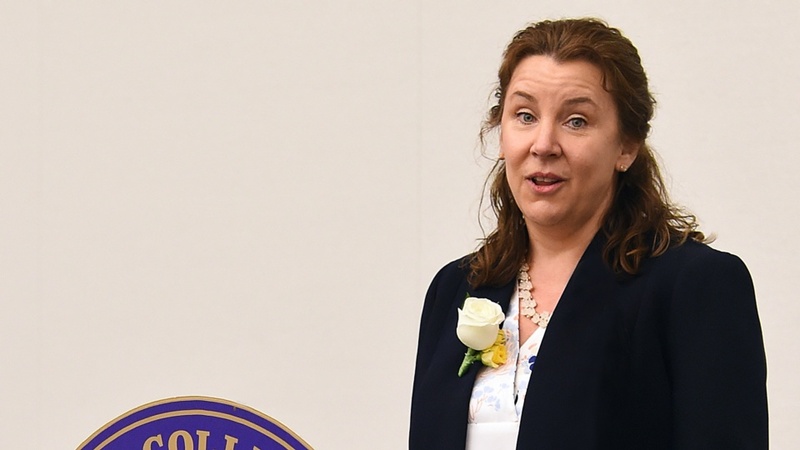 As such, she advises and represents individuals and public interest organizations on a pro bono basis. Dewey cultivates DLA Piper’s strategic thinking on pro bono, including the vision of DLA Piper’s U.S. pro bono programs which includes over 1,300 lawyers. 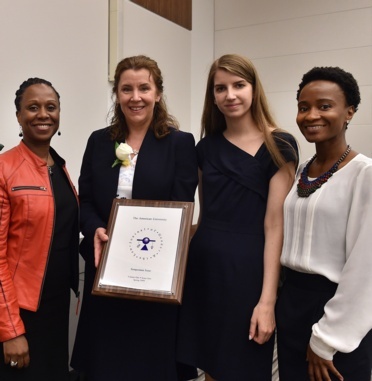 She also serves as director for New Perimeter, DLA Piper’s non-profit affiliate dedicated to providing long-term pro bono legal assistance in underserved regions around the world to support access to justice, social and economic development, and sound legal institutions. Dewey’s experience includes representing and counseling clients in death penalty, family law, and political asylum matters. 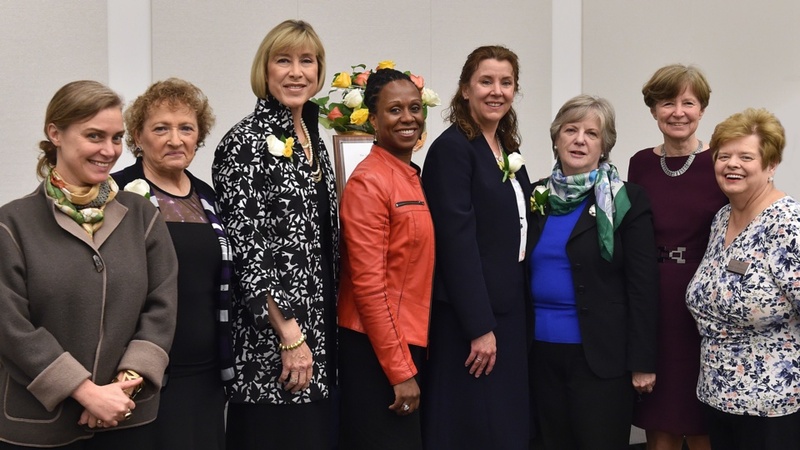 Watch the video and see photos from the event below.